Columbia Association Watershed BMP Projects — BayLand Consultants & Designers, Inc.
BayLand is contracted with the Columbia Association (CA) to provide a variety of services including assessment, design, permitting and construction management services for stormwater management (SWM) and storm drain infrastructure projects. 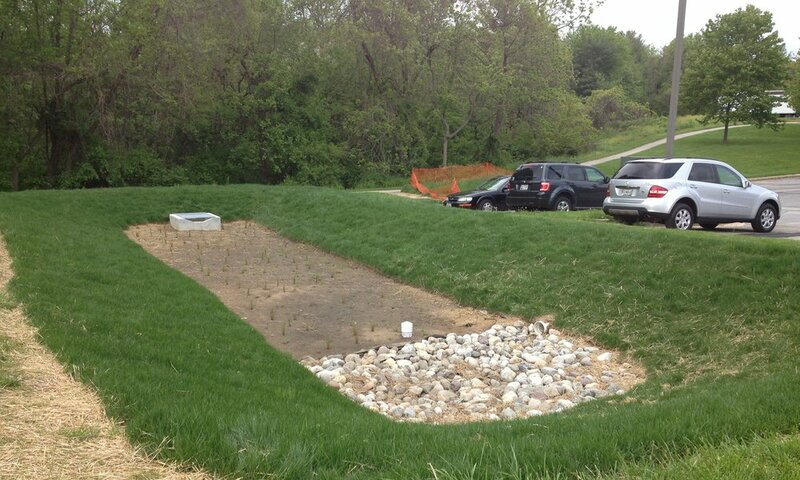 The task order assignments were to provide maintenance and environmental uplift to CA-owned infrastructure and amenities while providing impervious area credits toward Howard County’s National Pollutant Discharge Elimination System (NPDES) municipal separate storm sewer system (MS4) permit. The following is a summary of select task order assignments. 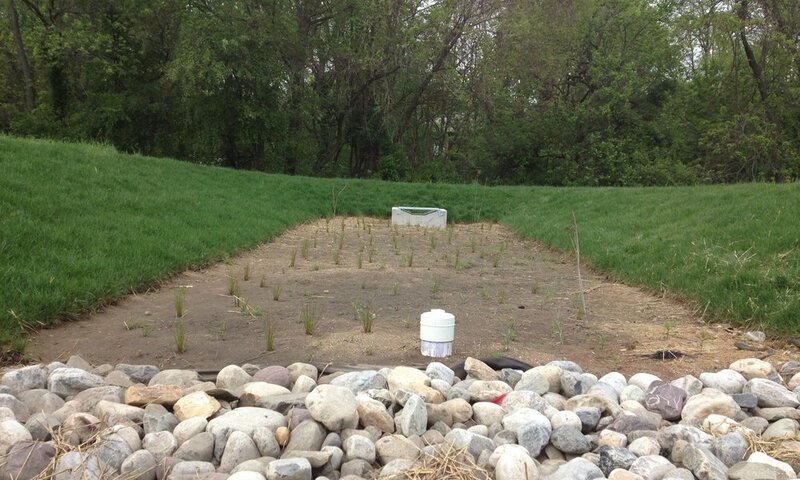 BayLand provided design services for five bioretention facility projects – Hopewell Pool, Blue Pool, Celebration Church, two best management practices (BMPs) at 6570 Dobbin Road, and Emersons Reach. Project goals were to provide maximum water quality benefits; meet all local, state and federal regulatory requirements; minimize the complexity and duration of construction; limit impacts to CA property and infrastructure; and avoid impacts to private properties. The bioretention facility designs were executed to maximize water quality benefits with minimum impact to parking and open space areas. BayLand conducted a pond and stormwater best management practice (BMP) inventory for CA owned/managed facilities. The inventory effort included consolidating various lists and databases, as well as, developing and populating a Geographic Information System (GIS) geodatabase to spatially locate facilities and catalogue pertinent site attributes. Twenty (20) priority wet ponds were selected from the database for further assessment. BayLand conducted the pond assessments, documented existing conditions and determined maintenance and restoration costs for each facility. The assessment also served to identify facilities with significant potential for retrofit/rehabilitation to fulfill SWM and/or MS4/TMDL requirements for Howard County. BayLand conducted constructability reviews and revised existing design documents to facilitate completion of the construction bid documents for three outfall retrofit projects within the Lake Elkhorn watershed. BayLand was selected for this key role/responsibility to ensure successful construction and implementation of the first step pool storm conveyance (SPSC) system projects undertaken by the CA. Through the constructability review and design revisions, BayLand prevented exposing CA to additional costs during construction by successfully identifying elements within the contract documents that were missing, where details necessary for construction was deficient, and clarifying provisions that could be subject to multiple interpretations.